Ferromagnetic objects taken through the MRI door into Zone 4 can lead to serious injury, time consuming delays, or costly damage to your valuable imaging system. When ferrous objects reach the MRI magnet's fringe field, they can be strongly attracted, at high speed, towards the magnet's core. This frightening and dangerous phenomenon is known as the projectile effect. All MRI facilities will have procedures in place that are intended to prevent projectile incidents. However, the number of projectile events continues to rise year on year. Distinguishing between safe and unsafe items is always a challenge for MRI staff. For example a pair of safe non-ferrous scissors may be visibly identical to a pair of unsafe ferrous scissors. Additionally, the information gained in traditional screening processes may be inaccurate, as patients are not always reliable in reporting all ferrous items on their person or conveying their complete medical history. With the increased use of MRI, increasing pressure on patient throughput and the move towards 3T and even stronger magnets, it has never been more important to keep your MRI safety management processes and technology up to date. 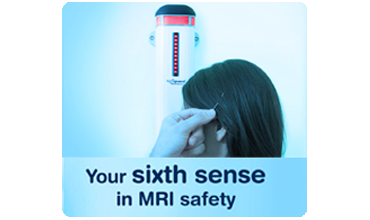 Remember, the MRI magnet is always on, even when the scanner is not in use. Ferroguard systems provide valuable objective data to assist the technologist to make accurate safety-decisions to significantly enhance the overall effectiveness of your screening process. Despite careful, guideline-compliant screening procedures, small ferrous objects inadvertently concealed on a patient, visitor or ancillary staff member may present a significant risk within your MRI facility. Only Ferroguard Screener uses Fluxgate sensors, making it the most sensitive FMD available. Ferroguard Screener’s minimum detectable magnetic signal is 80pTesla (0.8µGauss). Despite its compact design, Ferroguard Screener is super-sensitive to smaller risk-items all the way from the top-of-the-head to the tip-of-the-toes of the tallest patient. Ferroguard Assure is always on, always detecting. With other FMDs, design-limitation detection gaps may allow significant risk items to pass undetected into Zone IV. 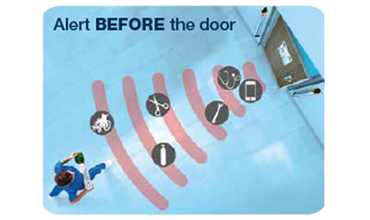 With Ferroguard Assure there will be no sensor activation delays on door opening, no slow-reset delay following an alert. Always on, always detecting, always ready for those few seconds when your safety depends on it.